If you're like most athletes, you'll want to be at the "top of your game" for as long as you can. An increasing number of professional athletes, as well as professional and Olympic coaches agree, chiropractic is an important part of their teams "competitive edge." Athletes such as Jerry Rice, Chris Carter, Barry Bonds, Evander Holyfield, Tiger Woods, Al Unser Jr. and Joe Montana realize the importance of chiropractic care in increasing athletic performance and preventing injuries. How does chiropractic create a "competitive edge?" 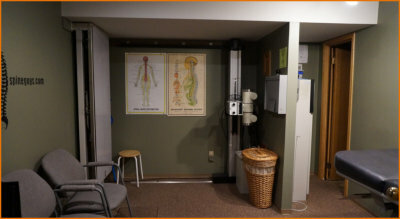 Much like a high performance race car, the human body must be in proper alignment to operate at it's peak performance. Regular chiropractic care keeps the body functioning at optimal capacity by maintaining proper spinal alignment which helps to eliminate the biomechanical and musculoskeletal factors that often lead to injury. Many sports-related injuries involve the spine. Spinal injuries can restrict range of motion, reduce strength, slow reflexes, shorten endurance,and decrease performance. Chiropractic care for these types of injuries has become increasingly popular. Professional sports teams, Olympic trainers, and competitive athletes are employing chiropractic doctors - because they demand results. Chiropractic care helps restore function to the spinal joints that are "locked up", fixated, and not moving properly. Besides helping to relieve pain chiropractic care can also help reduce inflammation. Muscles, tendons, and ligaments depend on proper joint movement and nerve supply for peak performance. Injuries to these tissues can reduce range of motion, affect delicate nerves, decrease blood supply, and take you out of the game. Normalizing spinal function helps speed up the healing of these soft tissues and reduce the deconditioning effect of being on the sidelines. Proper spinal function is essential for peak performance at work or play. An aerobics exercise program or a plan of brisk walking can improve muscle tone and help you avoid strains, sprains and other activity restricting health problems. 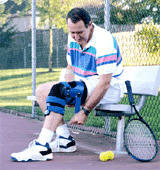 Whether you golf, play tennis, or walk the best treatment for sports injuries is prevention! We'll give you a care plan based on your age, condition, and health objectives. Find out if chiropractic care can restore your health, improve your performance, and increase your competitive edge.